Shell Beach Landscapes can be a challenge. It’s both an art and science. There’s an element of creativity that suits your style and taste and helps to distinguish your home or business from all others. But it’s also important to know which plants are favorable for your climate, when they’ll grow, and how to properly manage them. Thankfully, the certified team at Dan’s Landscaping Company can help you every step of the way. We have designed and implemented Shell Beach landscapes for both commercial and residential properties since 2003. Our experience with numerous clients in various situations has given us valuable knowledge to pass on to our clients. Below is a list of items for you to consider as you contact us to launch that next project. These are designed to help you easily navigate through every phase. Happy Landscaping! Research. There are many variables to making a residential or commercial Shell Beach Landscape look good all year long; so it’s important to do your homework. A great starting point is to find out the specifics about your area’s climate. Temperature range, season durations and rainfall will all determine the direction you take with your project. Another important step to take is to get soil samples taken. 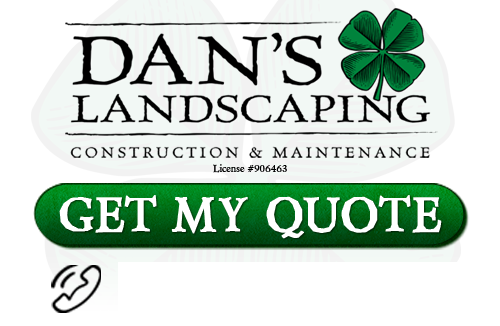 Contact Dan’s Landscaping Company for a thorough inspection of your yard. They can give you a comprehensive evaluation and give you informed suggestions so that you take the right first steps. It is vital to lay the ‘ground’ work for your upcoming project. You want to have a good idea of what your landscape will look before you ever launch. 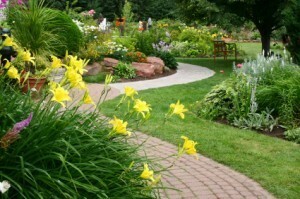 Consulting with a reputable landscape service can save you considerable time and money. Simply put, Shell Beach Landscapes are about design. Therefore ask questions, get information, submit ideas, and make sure you have a good idea of what direction you are headed before you begin. Dan’s Landscaping Company can help you get it right the first time. Having a clean slate to work from makes your new landscape installation easier. Take some time out to give your yard a thorough cleaning. Clear out all debris, foliage, and overgrowth. This also includes unwanted growth below the surface where there may be rocks and old roots that could hinder new plants from taking root. Remember, it doesn’t matter how nice your new landscape is. If it’s set in front of a backdrop of old trees, dead shrubbery, and cluttered vines, then you’ve defeated the purpose. Proper Yard cleanup is essential. The most important thing in landscape installation is details! details! details! Anyone can lay down stone, roll grass, or plant a few flowers. But it takes collaboration and a grand vision to create something truly innovative. Pay attention to patterns, colors, materials. Do a careful observation of your current property. How will the new Shell Beach Landscape compliment your home? When the project is finished, there should be a cohesive design in which everything fits together. It’s not finished until the final detail is completed perfectly! If you are looking for a professional Shell Beach Landscape Contractor then contact Dan’s Landscaping Company at 805-550-5488 or complete our online request form.